Dubrovnik is the biggest tourist destination in Croatia so we had to visit. Like Venice, it was teeming with tourists, but of course it was popular for a reason. 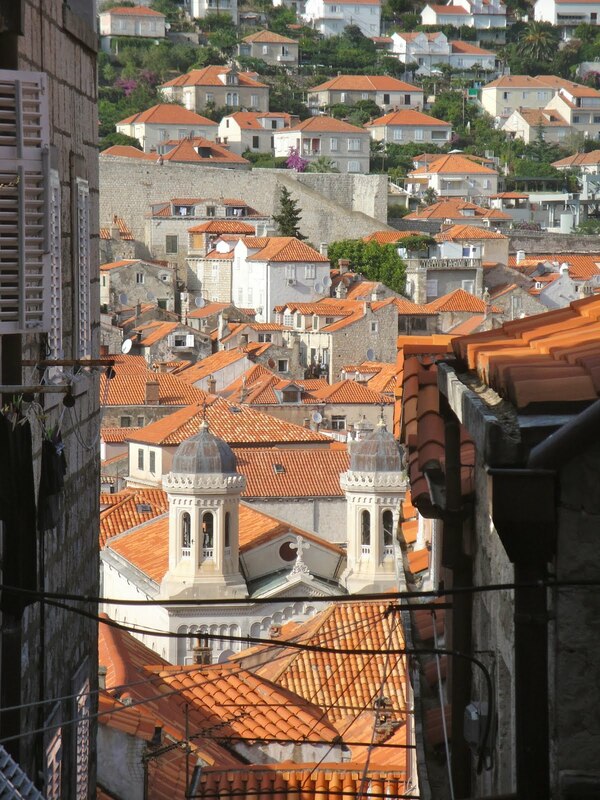 A UNESCO World Heritage Site, the old town is gorgeous. Street after street of pearl-white walls and red-tiled roofs made the Stari Grad the most beautiful old town we have seen on our trip so far. The only thing we missed out on was a walk around the city walls because of the heat: around 100 degrees. To cool off, we made a quick fifteen-minute boat trip to tiny Lokrum Island. After some small cliff jumping into the locals’ favorite lake, BH and I made our way to an FKK beach on the southern shore. Beaches in Croatia tend to be rocky, but they make up for it with the crystalline water and breath-taking scenery. We made our way back to Dubrovnik after our swim and explored the streets again. As dinner approached, we searched for a restaurant that our campground had recommended. If you are in Dubrovnik, you must try Nishta. Located on Prijeko Street, this vegetarian restaurant is perfect after eating Balkan meat everyday. The serve-yourself salad is especially delicious, but they also have Thai curries, Chinese egg rolls, and falafel. Delicious.